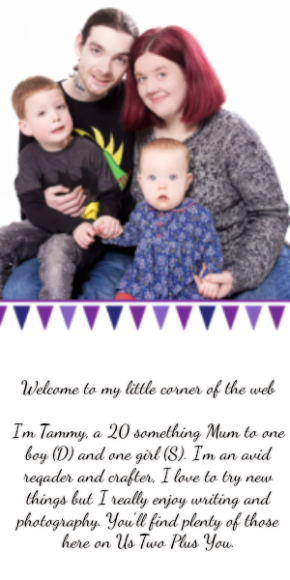 Last week marked a very big day in D's life, his first day at school! He has been pretty excited all summer about the prospect of going into primary one. Towards the end of summer he was getting a bit frustrated that it wasn't yet time to start school.When the week of starting school finally came along he was delighted! His first day started out with an early morning wake up call. D is not a fan! Not because it's early but he isn't pleased that he doesn't get to come in to my bed in the mornings and play with baby S before we go downstairs. In the end it was back to bed for a quick cuddle. Which was quickly followed by breakfast and getting his uniform on. Doesn't he look so smart and grown up in his uniform? Pretty soon it was time to get his school bag and head for school. 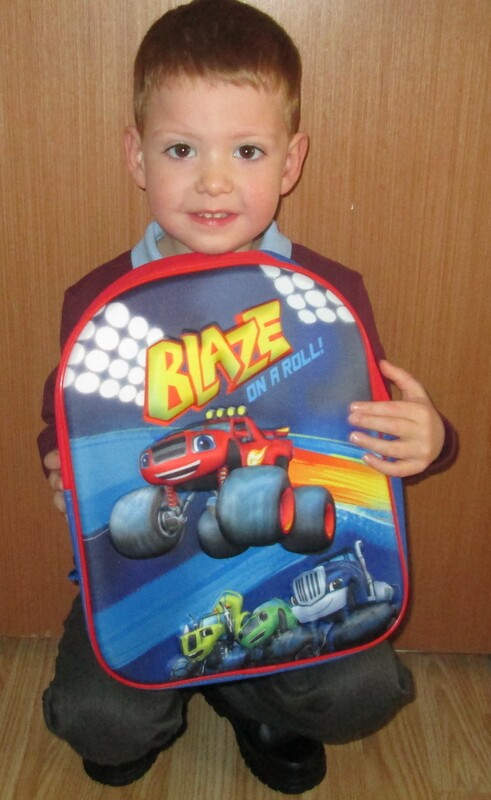 He loves his Blaze and The Monster Machines backpack which he picked out and inside he has some colouring pencils, pencils, rubber, sharpener, ruler and his water bottle. D was so excited to get to the school and see his friends from nursery. We got into school, found his name tag and Daddy got a hug. I on the other hand was forgotten in his excitement (which was just a little heartbreaking) and off he went happy and excited into his new classroom. He only stayed in until lunch time and was happy to tell us all about the new toys, games and friends he had found and made. His teacher told us that he had settled in well. The next day was pretty much the same only we got some artwork home! This is a rarity for us, D never liked doing art in nursery and would openly avoid it if he could! However it would seem that he does now enjoy it when there aren't so many children or so many toys in the room. I think the first few days have went really well and he has easily started to slip back into our old routine in the morning and I have even managed to get both children ready and out the door alone! (a minor miracle!) I will be keeping an update of how D is doing at school every few months so do keep an eye out.